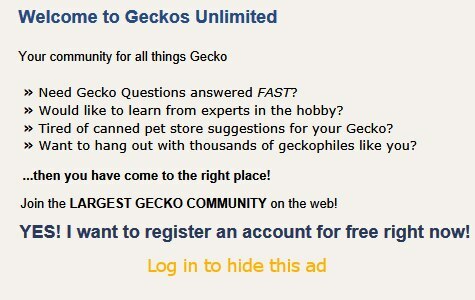 This is just a very generic question and not directly pertaining to any plans I have but I am curious as to when the best time to get another female gecko would be? For instance, if I currently have a female leopard gecko and would want to purchase another of the same morph, size and age when would the best time be? While the current gecko is still young enough to acclimate to the newer gecko? Also, take into account the size of the tank is 20 gallons with 3 hides (warm, cold, and moist). --have a second enclosure ready at all times in case they need to be separated. Leopard geckos are solitary animals and don't really need enclosure buddies. A 20 long: 30 x 12 x 12 inches tall is bare minimum for a single leo. If you wish to try this I suggest a 36 x 18 x 12 inch enclosure as minimum with 6 hides -- 3 for each leo. Still you need to be prepped to separate them if they fight. Two females can get along "well" for years. Then one fine day . . . . . . oops, there's blood! A healthy leo can live into their 20s! Are you ready? There's a retired female breeder leo in Europe who's in her mid-30s. Here are some quarantine guidelines. Last edited by Elizabeth Freer; 04-12-2019 at 06:43 AM. I was told by a vet that there are airborne viruses that have infected leopard geckos and so any new reptile should be housed in a separate room. Even if a stool specimen has been tested, a false negative test is very possible because the oocyst often shed intermittently. This is why it’s so common to hear of a breeder collection being wiped out by cryptosporidium. I don’t think it’s fair to put any reptile’s life at risk.